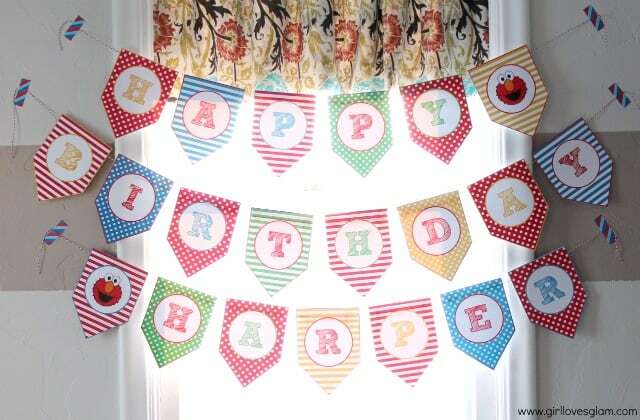 I’m so glad you posted about Harper’s party!! The whole world needs to know how dang cute it was! SO cute! Love the decorations! Good job Momma. 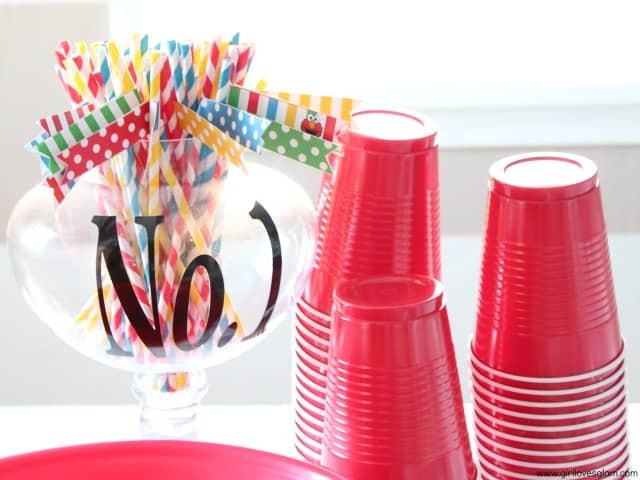 I love myself a good party. AHHH I love this!!! Oh my gosh! My little guy hasn’t gotten into Sesame Street but I SO wish he had! 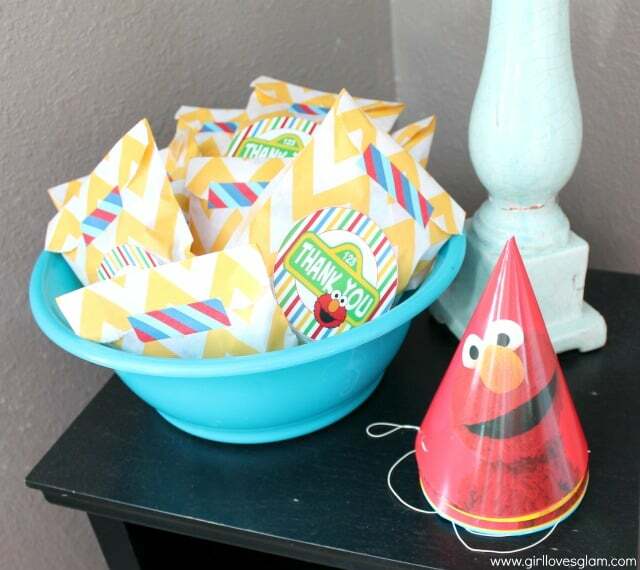 I especially love the little paper party fans! What a good momma you are! 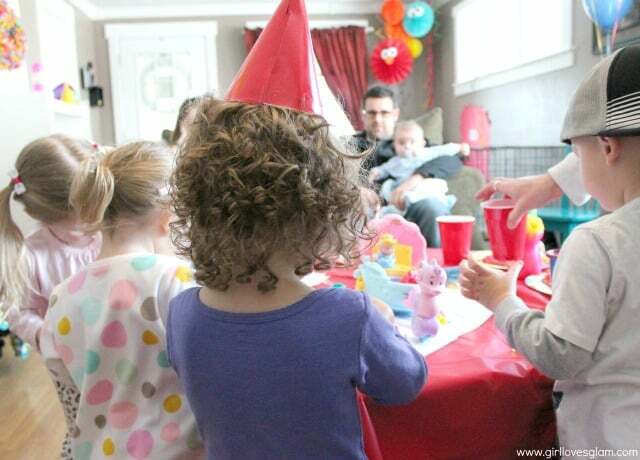 What a cute party, lucky Harper! 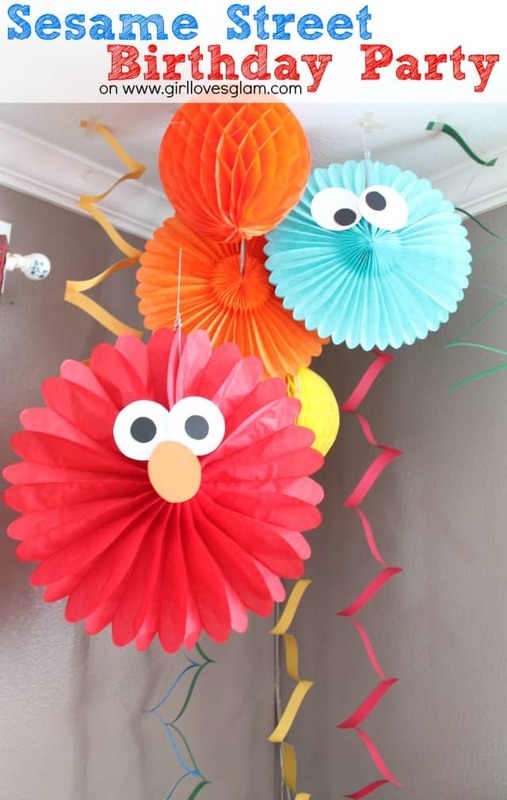 that is flippin adorable, and I especially love the eyes added to the paper pinwheels….not quite sure what they are called. but I love how you made them the characters! Oh my heck!! So dang cute!! Good work mama! CUTEST!!!!!!!! I love love love how you used those paper medallions and turned them into the characters! Really cute party. 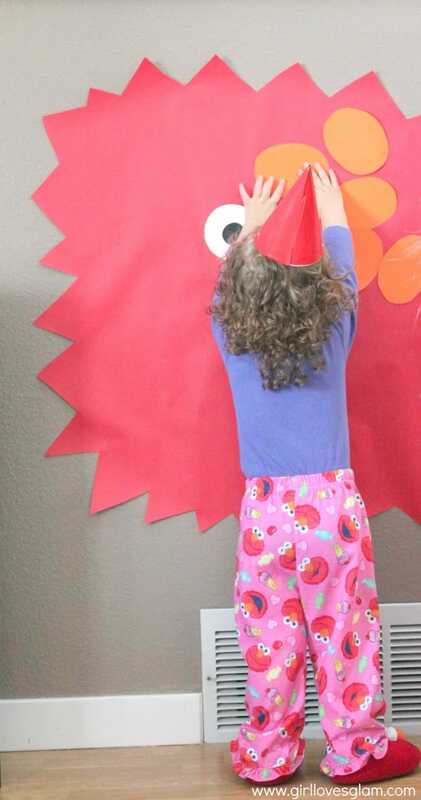 Love the “Pin the Nose on Elmo” game. 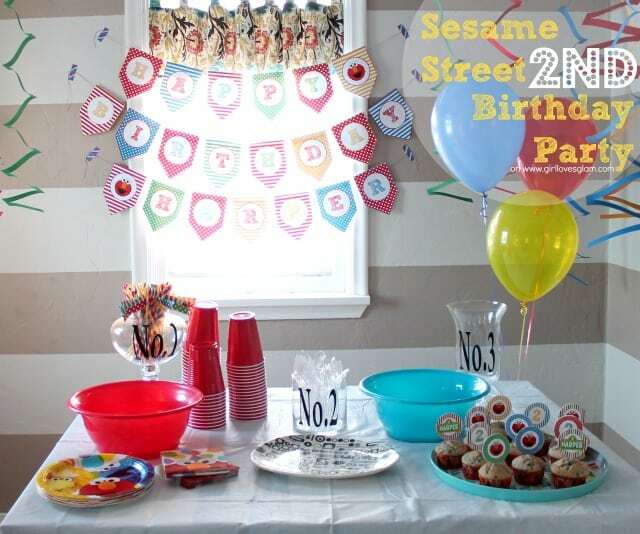 My son’s first birthday is coming up fast and I’m trying to figure out an idea for his party. 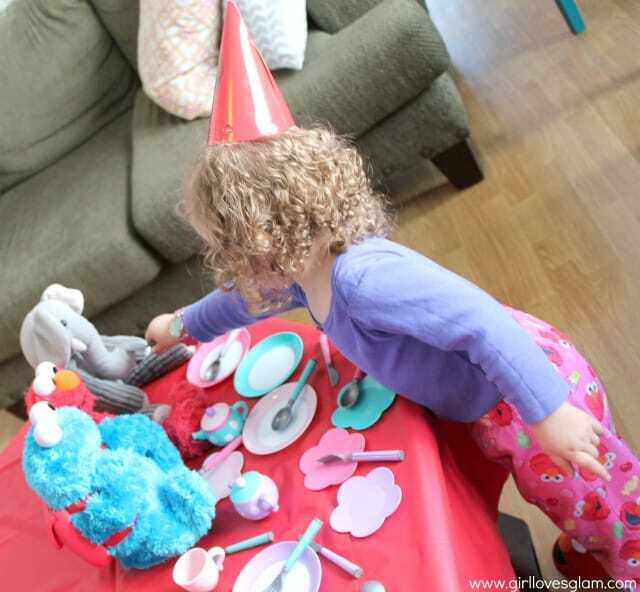 Such an adorable and precious party! 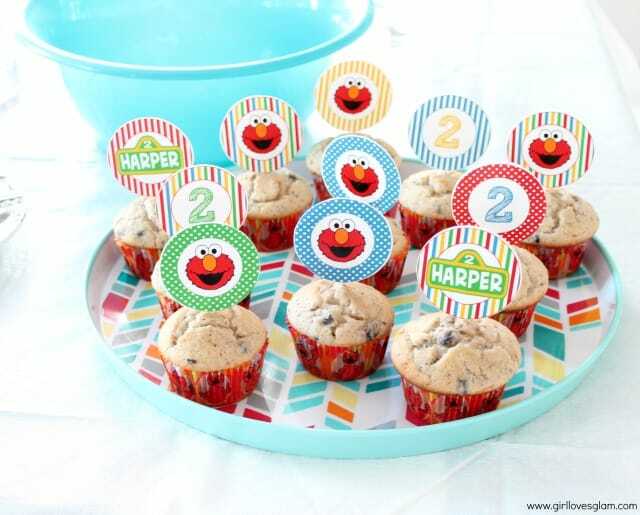 I miss the Elmo party days! 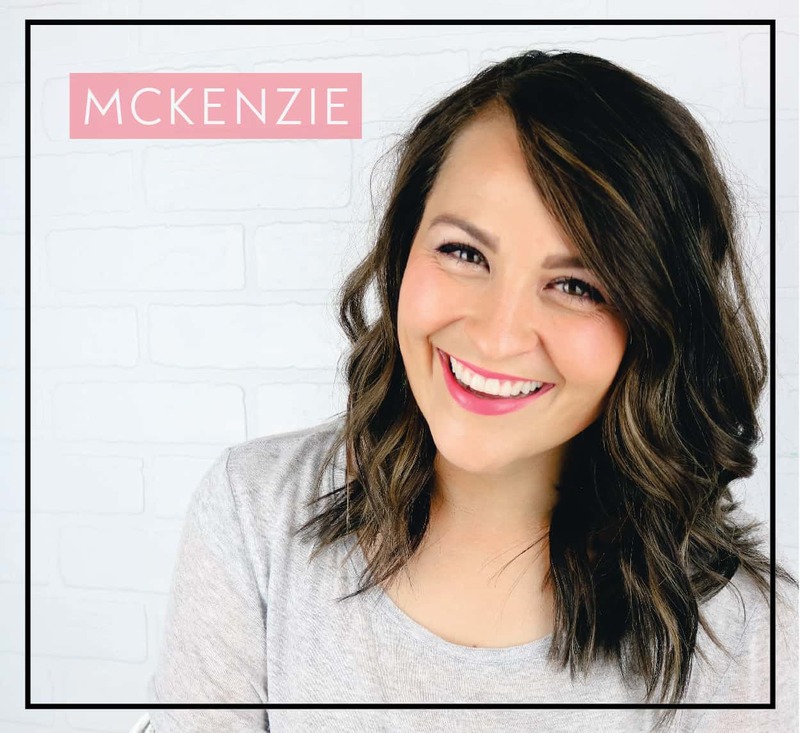 Sniffles… my youngest is going on 6- time flies! Enjoy your little ones! 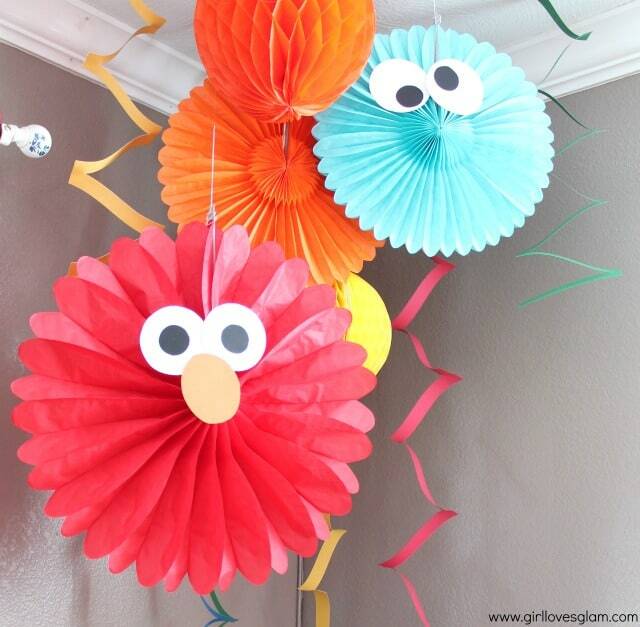 The way you turned those paper fans into Elmo and Cookie Monster is nothing short of genius! I love them (I’ve always had a real soft spot for Elmo to the point I’m seriously considering an Elmo pinterest board – this could be my first pin on it, I may just do it!) Thanks for the lovely ideas. 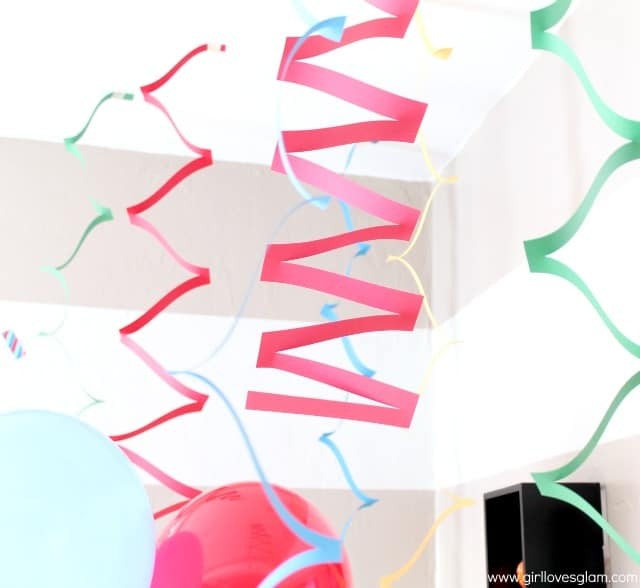 Visiting from 26th Avenue Link Party – love these decorations! 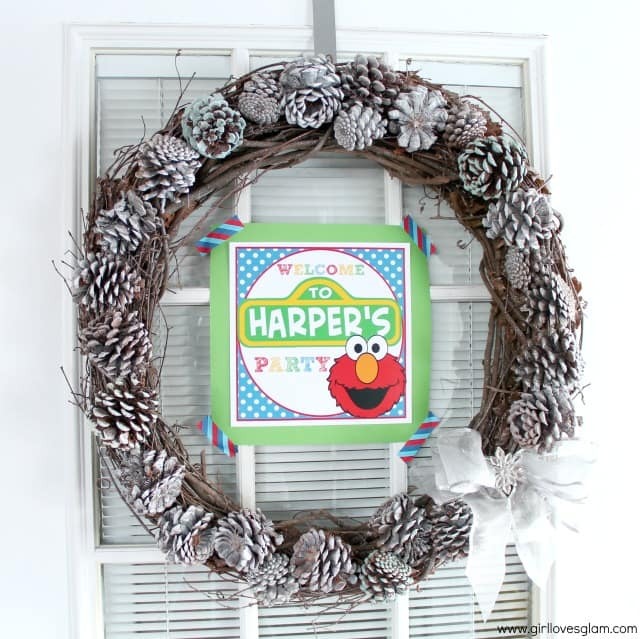 Visiting from 36th Avenue Link Party – love these decorations!